An expat in Cuenca describes healthcare throughout Ecuador and advises expat retirees to carefully consider proximity to quality emergency healthcare when choosing where to live in Ecuador. He cautions that many cities in Ecuador don't have good quality emergency care. Choose carefully where you plan to live. In many Ecuador cities emergency care is often very limited or even non-existent. As we age good quality emergency care can mean to live or die. The same goes with good quality health care in general. Many small cities lack more than one doctor and medicines and supplies can be difficult to obtain in an emergency. This also happens with dentists as well. I suffered an injury to a tooth and had to travel for over an hour to find a dentist that could provide the needed treatment. And as we age we may find that the uneven pavement (or lack of pavement) in most Ecuadorian cities and towns will become a hazard to getting around. Again, choose carefully where you live. We live within 3 blocks of a major hospital with 24 hour Emergency care and within 5 blocks of a similar major hospital also with 24 hour emergency care. Both hospitals are excellent and offer quality care. I have been able to find providers for all health issues here in Cuenca and all have been of good quality and excellent availability. As for prescription medicines we have have trouble with only one item we needed which we could not get here in Cuenca which was a type of estrogen medication my wife needed. Everything else we have needed in the past 3 years we have lived here we have been able to find locally without problem and most items (though prescribed by the Doctor) did not require a prescription for any needed renewal. Cost for most items were less than in the US. 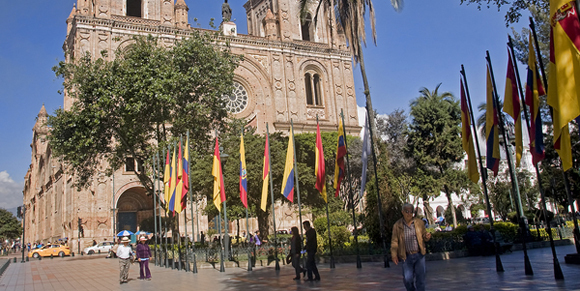 Read recent healthcare reports submitted for: Cuenca, Cuenca and Cuenca.